Hello, and welcome to the Brush In Hand website. We’re a family run on-site spraying and decorating business that’s been going since 1995. In that time we’ve witnessed a huge change in the industry, largely driven by technological advancements yet we’ve always taken pride in that we’ve led the change many times. 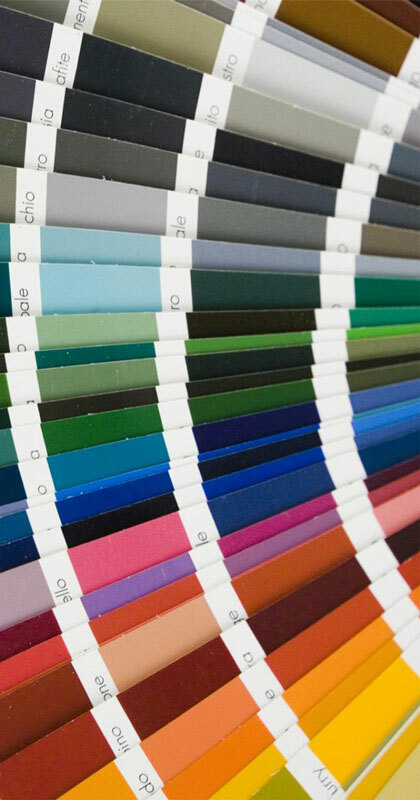 We were one of the first traditional decorating businesses to get into spraying paint instead of rollers and paintbrushes. Having gained a reputation for quality, cost effective work, we started working on ever larger projects. Since our foundation, we’ve invested ahead of the curve in new technologies, and now offer Airless Spray Painting, Electrostatic Painting, HVLP Spraying and we even do Airless Spray Plastering. Our clients range from contractors to developers, business owners to home owners, however we appreciate that every one of our clients has a vision, budget and expectation, and we aim to meet those expectations. We’re the first choice for many contractors and business owners because we’re good at what we do and our work speaks for itself. If you would like to discuss any of our services, please do get in contact with us. Airless Spray Painting is a process of paint application that is ideally suited to large areas where speed is a key requirement. Paint is pushed through a nozzle at high pressure which atomises it’s particles into tiny droplets and thus bind the paint to the surface. 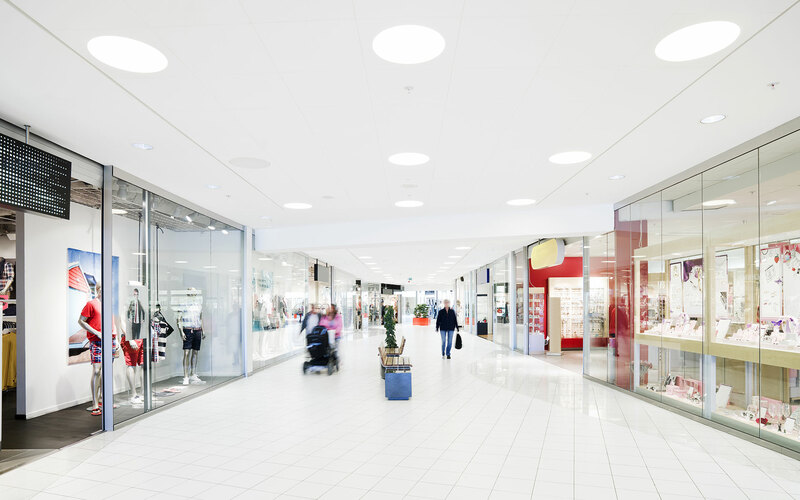 Airless Spray Painting is perfect for low budgets or areas where a high area of coverage is expected. Brush In Hand Ltd were one of the first traditional painting businesses to adopt Airless Spray Painting and have covered 100’s of 1000’s of square meters of concrete, metal, stone and timber since this time. We work mainly with contractors and project developers although we’ll consider basically any job. If it needs spraying – we’re your team. From 100m2 to 100,000m2 we’ve got it covered. Airless Spray Painting uses far less paint than other methods. This method of application is much faster than other methods. Ideal if you’re up against a deadline. 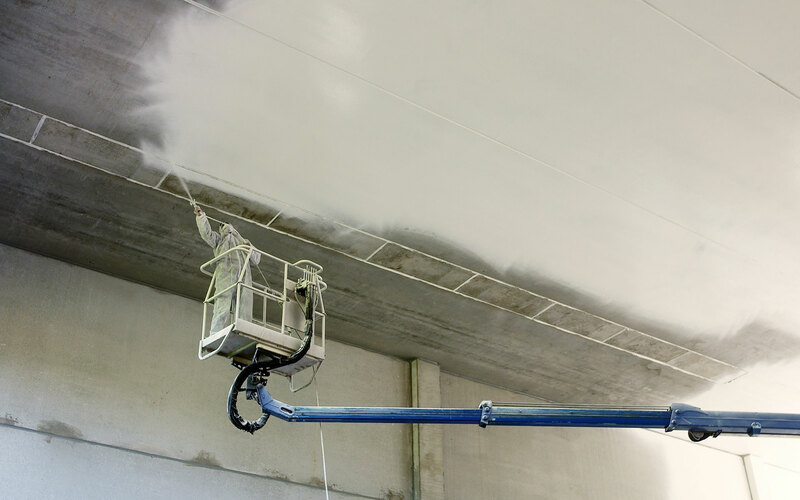 Electrostatic spraying is ideally suited to surfaces that have recesses and hard to reach spots. Atomised paint is given an electrostatic charge which has a bonding effect with the substrate which has the opposite charge. This means the fine spray of paint is pulled from the surrounding haze directly onto the substrate ensuring a smooth, even coverage. 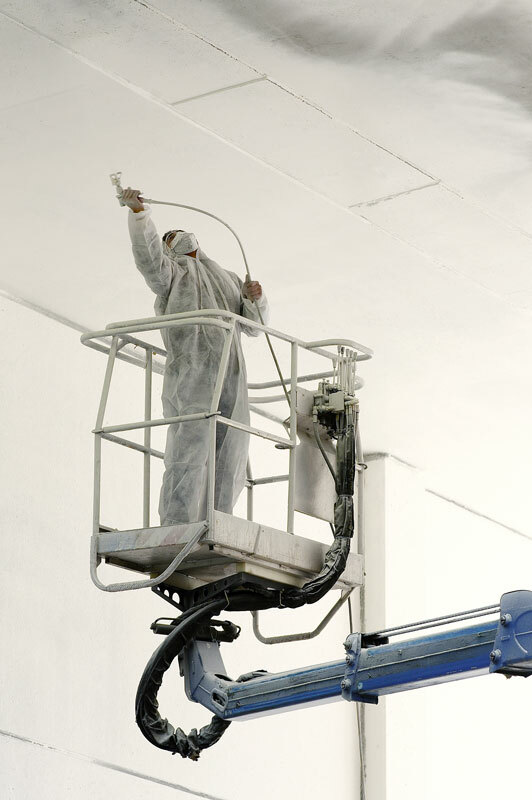 Due to the delicate nature of Electrostatic Spraying, it is only suitable for indoor application. Cover grooves, recesses and blind spots on banisters, cabinets, railings and metalwork. No chance of over-painting with less mess and waste. Guaranteed smoother application than other methods. With High Volume Low Pressure spraying, a higher volume of air is used to aerosolise and propel the paint at lower air pressure. The result is a higher proportion of paint reaching the target surface with reduced overspray, materials consumption, and air pollution. This system is very useful for the automotive, marine, architectural coating, furniture finishing and cosmetic industries. 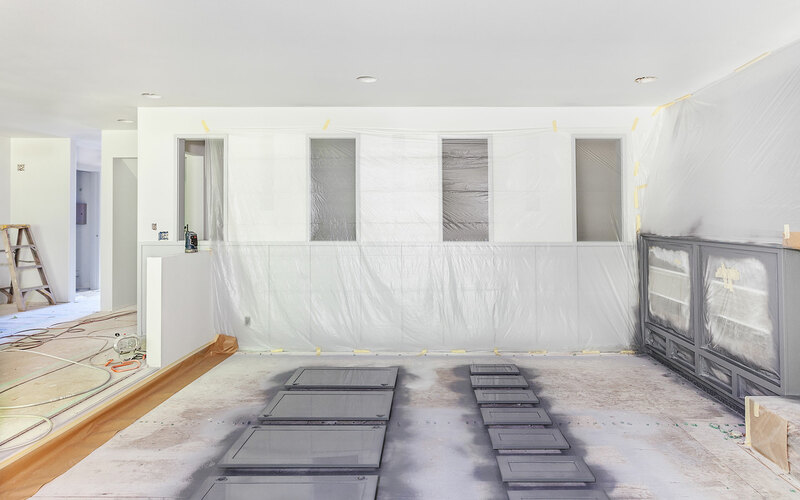 From furniture to window frames, this method works best when covering small areas with high volumes of paint. HVLP is effective when you need a solid coat with reduced risk of over-spray. When we started Brush in Hand back in 1995, we had no idea our business would be so dominated by spraying in future years, though we’ve never lost what it was that got it there. We’ve been decorating homes, shopfront and offices using traditional methods and continue to do so to this day. Our team of decorators can still be found working on limestone render, coving and architrave, glossing, varnishing, brush in hand. One recurring 21st Century form of decorating is currently one of our favourites, digital wallpapers. It’s one thing to envision a large print or textured wall covering – and as some people have found to their cost, another to successfully mount it to their walls. At Brush in Hand Ltd, we’re very familiar with the application techniques for large, extra large, and ridiculously large prints. Spray your kitchen before you replace your kitchen. Digital & traditional wallpapers, gloss, radiators and woodwork also undertaken. With some people calling this system ‘The end of traditional plastering” we have to agree Airless Spray Plastering is the future. Applied directly using special pre-mixed plasters, there is no added water or any of the associated mess with traditional plastering. Airless Spray Plaster dries in around 24 hours saving considerable project time over conventional plastering. Airless Spray Plastering is super quick and clean to apply, even to ceiling of 3m. Far less prone to cracks and chips than conventional plaster finish. We’d love to hear from you. Use the form to the right to leave us a message and we’ll get back to you as soon as we can.